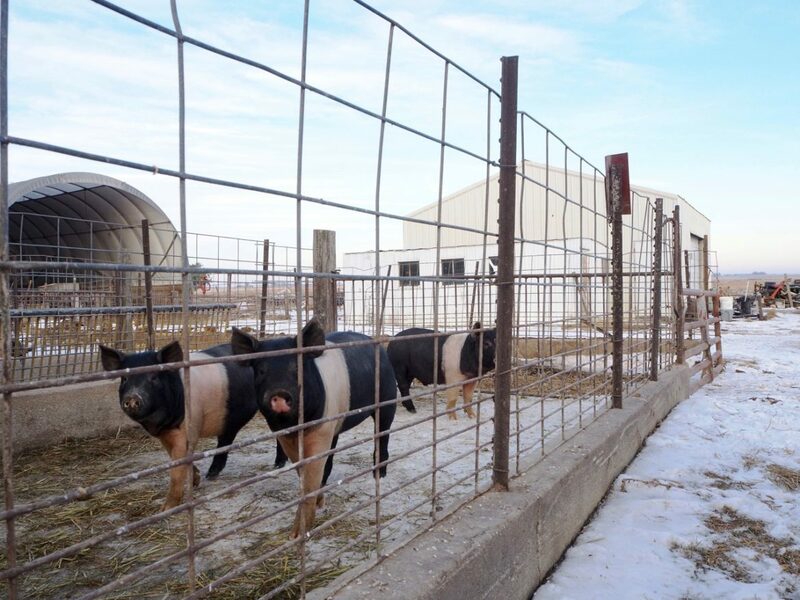 Hogs in the outdoor pens Denny Rehberg uses at his farm near Walker, Iowa. This story was produced by The Iowa Center for Public Affairs Journalism, IowaWatch.org. 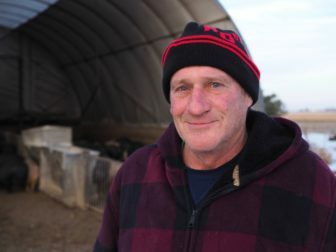 Denny Rehberg at his farm near Walker, Iowa, in January 2018. In the United States, roughly 70 percent of antimicrobials important in human health are sold for livestock use. Antimicrobials kill or slow the growth of microorganisms such as bacteria, viruses and fungi. Antimicrobials used in animals are classified as ‘important in human health’ when they can be used for both human and animal medicine. Antibiotics are one type of antimicrobial specific to bacteria, although the two terms are often used interchangeably. The report estimated that 2016 sales of antimicrobials approved for use in livestock decreased overall by 10 percent from 2015. However, since the FDA began collecting data in 2009, overall antimicrobial sales have increased by 9 percent. In 2016, 6 six percent of antimicrobials important in human health were intended for use in chickens, while 37 percent were intended for use in swine, and 43 percent of antimicrobials were intended for use in cattle. Reports of years before prior to 2016 did not categorize antimicrobial use by type of animal. Furthermore, drug-resistant bacteria can spread from animals to humans via contaminated meat, water, soil and manure. One Iowa City Veterans Administration Health Care Systemstudy found that patients who lived within one mile of a large hog confinement were about three times as likely to carry the bacteria methicillin-resistant Staphylococcus aureus, or MRSA. The bacteria was not necessarily antibiotic-resistant or making the patients sick. To date, two U.S. states have adopted tougher antibiotic usage laws—California and Maryland have passed bills restricting routine antibiotic use for disease prevention. Both laws went into effect on Jan. 1, 2018. No such bills have been introduced in Iowa.